Uncover the top virtual reality games that must feature in your 2019 playlist. Gamers have been excited about virtual reality games long before they became a reality. Their ability to offer a fresh gaming perspective leading to an enhanced experience make VR games a great choice. 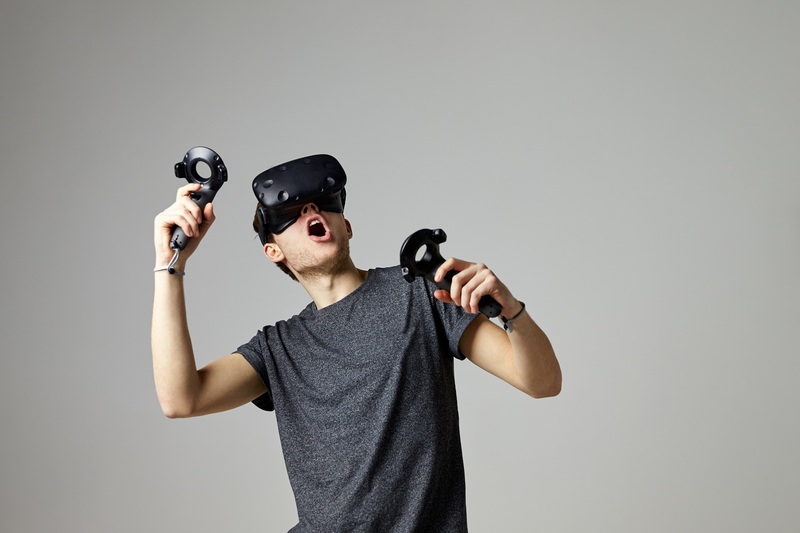 With a good VR headset, you can bet that you will be in another world enjoying an incredible immersive connection with the game you choose to play. Whether you are playing these games for the first time or you have had some experience, here are five VR games that you must play this year. A genius creation from Crytek, The Climb is a first-person rock climbing game. It presents realistic scenery together with remarkable game mechanics you are bound to appreciate. On your rock climbing quest, the end score will be determined by the time you take to climb the rock, as well as the technical ability you employ to get to the top. The game developed by Polyphony Digital has 3 levels, each with standard difficulty settings i.e. hard, medium and easy. When it starts, it offers a tutorial that will teach you about the essential controls and mechanics of the game. The Climb is easily one of the best looking VR games yet with top-quality visuals that are second to none. If you are into motorsport racing, Gran Turismo Sport is a must-play. With this game, you can either compete in heart-pumping races or watch a live race with the best drivers in the globe as they fight to be crowned global champions. Gran Turismo Sport offers advanced matchmaking where you can race against your friends or other racing enthusiasts across the globe in various class divisions. As a driver, you can create your own legacy as a professional, or pick and customize your vehicle with the logos and brands you love most.You can also build a personalized garage, and compete offline in multiple challenges. This is a highly addictive game from Beat Games. It is an incredible rhythm game that will definitely get you moving to the beat perfect for all types of players, including the novice ones. Each player gets two sabers that you will use as the song plays out. Use these to dice and slice your way through as many songs as you like. To test your reflexes, you will come across hazards such as glowing red walls, and explosive bombs that you are to avoid. While you are having a blast with this title, you will also be working out in a fun way. A dogfighting game that is based in space, this is a title that offers both single-player, and multiplayer modes. Gamers get a chance to control a spaceship as they fight their way through throngs of enemies avoiding collisions to avoid damaging any part of their vessel. You also get to enjoy a great deal of flexibility in regards to progression giving you the freedom to personalize your ship as you move along. This VR game features stunning visuals. So, it will keep you thoroughly entertained even if you go at it solo. You will also be amazed by the level of details that go into creating all the aspects of the game. This includes projectiles that grandly light up against a deep sea backdrop. Can you trust your friends to save your life? Well, you can find this out by playing Keep Talking and Nobody Explodes. The multiplayer VR game will allow you to test the strength of your friendship in an interesting manner. Players are split into different groups where they will collaborate and communicate as they try and defuse a bomb. Only one person is responsible for defusing the bomb, while the rest act as bomb experts. The players have to guide each other through the process of defusing the bomb if they want to make it out alive within the set time. However, they have to keep in mind that the bomb may explode if the team makes too many mistakes. Regardless of the type of gaming experience you are into, you can be sure that there is a virtual reality game for your pleasure. Explore as many as you like to identify the ones that you like best. Duncan Kingori is part of UltimateGameChair content team. He has been in the writing profession for a decade now. He has great experience writing informative articles and his work has been appreciated and published in many popular publications.